On November 30, 2009 the Borromeo Quartet performed Gunther Schuller's String Quartet No. 4 in Jordan Hall at the New England Conservatory of Music. It was intended to be a warm up for recording session scheduled one month later. 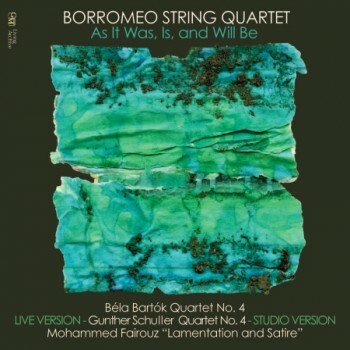 Magic happened on stage that night and both Schuller and the Borromeo felt this live performance warranted inclusion on the CD in addition to the studio version subsequently recorded. The studio version was made with exactly the same acoustic setup as the concert, with the addition of four individual microphones. The concert and studio recording were engineered by Jeremy Sarna. The editing of the studio version was done by Nick Kitchen and then refined with Nick and Gunther working together.